Victoria Kupu, a Mills College junior from San Francisco earning a double major in English Literature and PLEA with an emphasis in economics took home the first place prize at the first Mills College Poetry Slam held on Nov. 21. Initially there was a three-way tie between Gabriella Michel, Venus Jones, and Kupu. Kupu broke the tie with her piece “Roots” when audience members voted by putting up numbers with their hands to rate the contestant’s poetry. 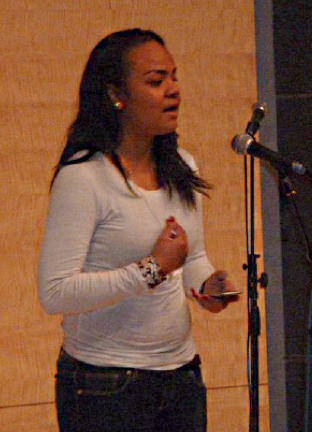 Amanda Meth, president of the Poetry Slam Club, said she was blown away by Kupu’s performance at the Poetry Slam. She noted that Kupu first seemed very reserved, and when her brilliance came out at the event it was refreshing. Junior English major Lauren Thiemann attended the event and said she was amazed by the impact that Kupu’s spoken word had on the audience. Kupu said she wrote poetry when she was younger, becoming involved in spoken word in her sophomore year of high school. “Spoken word is different than poetry because poetry is more of a formal writing, and spoken word must be spoken,” Kupu said. “It’s hard to read spoken word. It’s better heard. That’s my own personal definition.” Kupu. Kupu said she is influenced by Oveous Maximus, a spoken word artist from New York who has won the Apollo, a nationwide talent show based in New York so many times that he was asked to stop competing. Kupu also said that she began writing poetry because of her grandfather. In fifth grade Kupu wrote a poem about herself that won her a poetry competition and was published. Kupu’s winning poem was an “I am” poem exploring her cultural background and what represented it, such as traditional Polynesian clothing. 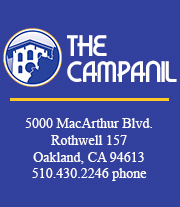 Since coming to Mills Kupu has been involved in poetry competitions such as the Oakland’s Youth Poet Laureate competition. Last year she was the second runner up and this year she was one of the judges. The Youth Poet Laureate represents their city and is determined by vote. Kupu said that after she graduates, she does not plan to pursue poetry as a career, but does plan to continue writing and performing. The Poetry Slam is a new event put on by the Poetry Slam Club, which was created by Meth this year. Meth said she wanted to highlight the poetry scene at Mills. Meth is very excited about what the new Poetry Slam Club will bring to the Mills community. The club meets twice a month in the Bender Room in Carnegie Hall.